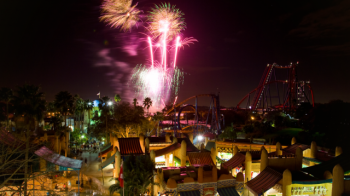 Stay up later and discover Tampa Bay’s summer fun after dark at Busch Gardens and Adventure Islands. Experience Busch Gardens as it lights up the sky every night during the summer with Summer Nights running from June 8 through August 18. Take a ride on Cheetah Hunt as it adds a new twist after dark, and prepare to be amazed with Kinetix music and acrobatics show on the Gwazi Park Stage. Each Summer Night ends with a spectacular fireworks finale lighting up the park and the Tampa sky! For a more tropical feel, cool off at Adventure Islands this summer with Island Nights, running every Thursday, Friday and Saturday night (5-9 p.m.) from June 13 through August 10. The annual summer event offers a taste of the islands with live entertainment, games on the beach, tropical cuisine and island fun for the entire family. Stay tuned for more fun in Tampa Bay!